Virgin Media has announced that it will publish its average broadband speeds for all of its packages for everyone to see, as it joins the campaign for greater honesty in the way that speeds are advertised by consumers. With Ofcom now also publishing its results, it is increasingly obvious that the 'Up to..' services that are run by most ISPs show a huge disparity between what customers think they are getting and what they actually achieve on average. 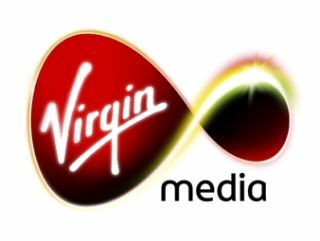 Virgin Media, which has the luxury of a fibre optic network that leads to higher average speeds which Ofcom's research showed were much closer to advertised, is now going to publish its own average speeds at www.virginmedia.com/speedhonesty for all to see. Jon James, executive director of broadband, at Virgin Media said: "People are paying for faster and faster broadband but being ripped off by unscrupulous providers who can't deliver their promised speeds to even a single customer. "A change in advertising is urgently needed to build consumer confidence in super-fast broadband and the industry more generally. "In the meantime, I hope other ISPs will quickly follow Virgin Media's lead by disclosing their own monthly performance data so people can make an informed decision about how to spend their money." The ASA are currently looking into the way that broadband is advertised, and ultimately TechRadar believes that the 'Up to...' claims should be dropped from advertising altogether and average speeds used in their stead.